If you would like your engine or tractor related site listed on our links pages, please send an e-mail with the complete description of your site. Due the large number of resources relating to our hobby that are becoming available on the web, this page has become an index to links that will be sorted by category on separate tabs. Select the area of interest from the tabs below. DISCLAIMER: This page is a public service and contains links to other Internet sites. The Early Day Engine & Tractor Association, Inc., or its branches, have not endorsed any of the products or services in such sites. The information in such sites have not been endorsed or approved by Early Day Gas Engine & Tractor Association, Inc. or its branches. The largest manufacturer of Propane, Hydrogen, Methane & Carbon Dioxide Gas Detectors for industrial and telecom applications. Detailed steel silhouettes of farm tractors, steam engines, and custom farm scenes. Home site of Ferguson Enthusiasts of North America – your Ferguson tractor information website. We provide the sharpest Parts Catalogs, Operators manuals and Service manuals for John Deere, IH, Oliver, Garr-Scott and many other tractor and hit-n-miss engines.In addition we also manufacturer replacement tractor parts. The information platform for agriculture, farming and construction equipment. 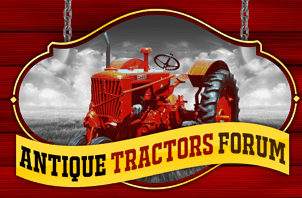 Tractor enthusiast forum with forums for all models and versions of Tractors including Compact Utility, Lawn Garden, Agriculture and Construction. There are currently no Steam links. If you would like your steam site listed on this page, please send an e-mail with the complete description of your site.